The emphasis of graphics has come to almost overshadow any part of gameplay recently, at least prior to launch, many gamers are roped into a game because it looks incredible, only to find that the game is quite weak at heart. 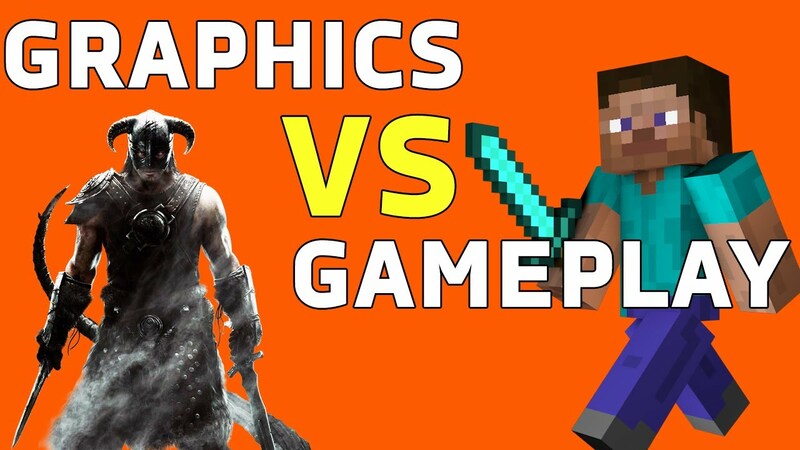 Graphics are important to a game, but they are not the be all and end all of a game. The first thing anyone will see of a game is graphics, so obviously they do carry some importance to gaining interest, although the amount of games that use non game play trailers is extortionate and creates a false view of the game. Game play is king when it comes to a game, that’s why games like Pacman and Tetris still get played today! There are probably very few people who have turned around and said, “I wish Pacman looked better”, or “I don’t like Pacman because it looks old”, Pacman works because its an ingenious simple idea that is addictive and fun, like what mobile games have attempted to be, but fail by adding micro transactions. Simple graphics plus effective gameplay make for great games, the most recent example would be Minecraft, its a simple building game, but it captures everyone’s imagination in some way as there is no right or wrong way to play Minecraft. No one cares that the graphics are poor, it creates its own charm, and that is what a lot of games are missing out on now, their own charm, everything wants to look ‘real’. Just to finish though, I understand that some games basically require nice graphics to immerse you properly, I’m thinking down that lines of Elder Scrolls games where you become a part of the world that you’re in and you feel at home, worse graphics wouldn’t help as its part and parcel with the graphics. Some games like competitive FPS games do not need good graphics, gameplay is king in FPS, for example Counter Strike and Halo 1 and 2 in the Master Chief Collection play brilliantly and don’t look fantastic.